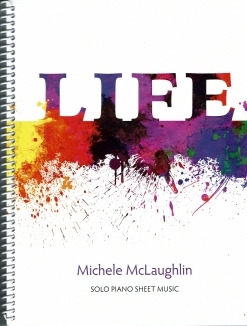 Life is the companion sheet music book for Michele McLaughlin’s 2017 solo piano recording by the same name, her seventeenth album to date not counting compilations. 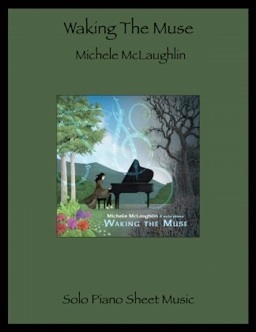 One of the best-loved pianist/composers in contemporary music, Michele’s music is always a documentary of her life and emotional experiences, and Life is no different in that regard. Although the thirteen piano solos are about a variety of ups and downs, there is always hope. The music is very accessible, which makes the sheet music very enjoyable to play. 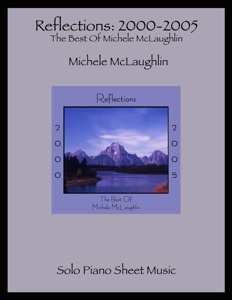 There are a variety of moods and musical colors expressed, also adding to the enjoyment of playing McLaughlin’s music. All thirteen pieces from the album are included, transcribed note-for-note by Rebecca Oswald and proof-read by me, so I can assure that the sheet music is as close to the recordings as possible. The book is spiral-bound with full-color covers with the striking CD artwork. The notation is clear, roomy and very easy to read. The music is printed on a heavier paper stock that should hold up to many years of playing. Most of the songs in the book are at about an upper-intermediate playing level. A few are a bit more difficult, but mostly because of the key signatures. The transcriptions include metronome settings, phrasing, suggested pedaling, and extensive dynamics. The book also includes a bio and full-color photo of Michele. This is a very enjoyable collection of piano solos to play and I highly recommend the printed book. 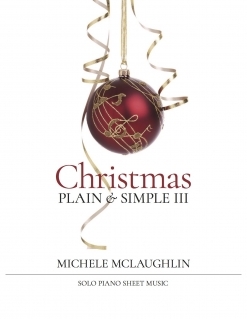 It will also be available as a downloadable book and individual songs, available from www.MicheleMcLaughlin.com. The titles, the keys the pieces are in, the number of pages, and the playing levels are indicated below. Please note that the playing levels are in comparison to Michele McLaughlin’s other sheet music. A level 1 piece is not necessarily an elementary-level piece, but is one of her easiest. A level 5 piece isn’t necessarily virtuosic, but is one of her most difficult.